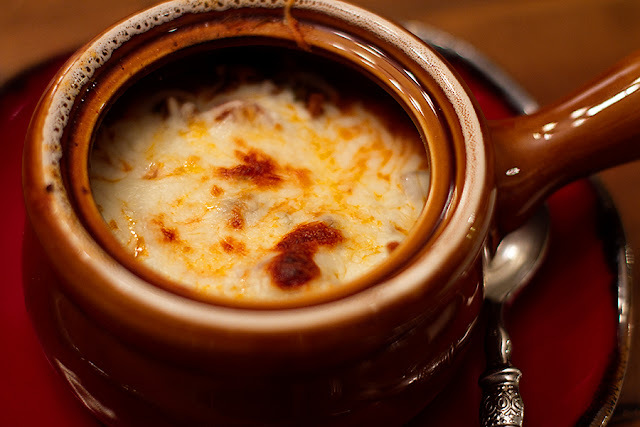 PrepAhead and Dine In: Lasagna Soup...A MUST TRY!!! I love the smell of a giant pot of soup simmering on the stove on a Sunday afternoon! I often make a pot of soup on the weekend to have a few days later on a busy weeknight. Sometimes I get stuck, rotating the same soup recipes from week to week. It’s easy, familiar and I already know what my critics have to say. I branched out a couple weeks ago and made this Paula Dean soup and was NOT disappointed! The taste of lasagna without having to assemble the layers and create lots of dirty dishes. Genius!!! Simple, delicious and a hit for sure! Broiling the cheese on top is a MUST. Prep Ahead Plan: As with most soups, this soup only gets better as it sits in the fridge. Make over the weekend and have during the week for dinner (and probably a few lunches as it makes a ton). 1. Combine beef, onion, bell pepper and garlic in a soup pot. Cook until beef is browned. Drain well. 2. Stir in brown sugar, broth, diced tomatoes, tomato sauce and seasonings. Bring to a boil over medium-high heat; reduce heat and simmer 20 minutes. 3. Add noodles, and simmer until noodles are tender. Stir in Parmesan cheese. 4. When ready to serve, preheat broiler. Ladle soup into until cheese is browned and bubbly. Enjoy!!!! 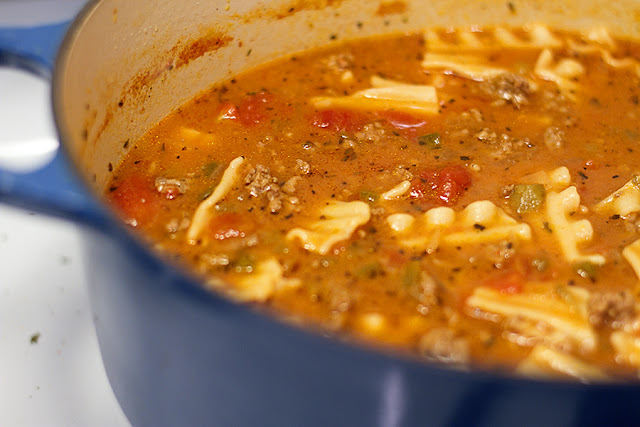 Copyright © PrepAhead and Dine In: Lasagna Soup...A MUST TRY!!!. All Rights Reserved.